Northeastern China better known in Chinese as the Dongbei region covers the following provinces: Heilongjiang, Jilin and Liaoning. Although Dongbei cuisine is not enlisted as one of the “Eight Cuisines of China”, it still has not stopped is popularity throughout China. 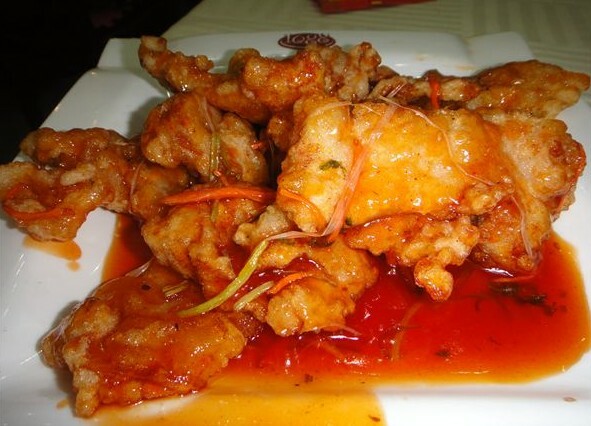 Dongbei cuisine is known for its rich and strong distinctive flavors and its variety of culinary preparation skills. The methods of cooking range from stir-frying, deep frying, stewing, steaming and grilling. Guo Bao Ro is one of the most popular dishes in Northeastern cuisine and originates from Harbin of Heilongjiang province. The main ingredient in this dish is pork that are chopped in to small thin slices then doused in a flour batter and then deep fried until golden and crisp. The pork is then tossed into a light sweet and sour sticky sauce that has strong burst of garlic and ginger flavor. 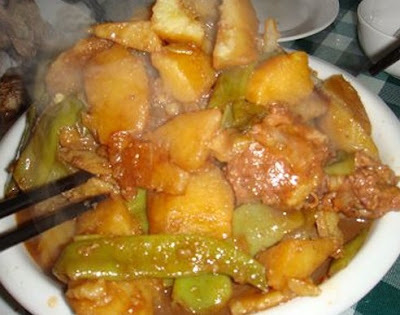 Dongbei Mixed Stew is a dish that almost all Dongbei families know how to cook. 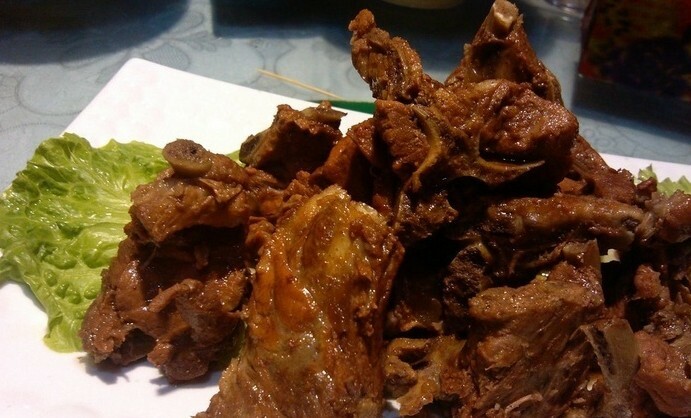 The primary ingredients is pork ribs or streaky pork that are stewed together with green beans, potatoes, eggplants, tomatoes and other fresh vegetables. The vegetables must all be hand shred when preparing in order to preserve the authentic taste. The stew is often eaten during the Chinese New Year and during winter it definitely warms up the appetite in the freezing Dongbei. The spare ribs and cooked to perfection in a brown sauce that is made of many spices such as cinnamon, star anise, clove, licorice, peppercorns and dried chilies. The spare ribs are cooked in the sauce until it absorbs all the flavors. Once served the meat on the ribs are tender and full of flavor. 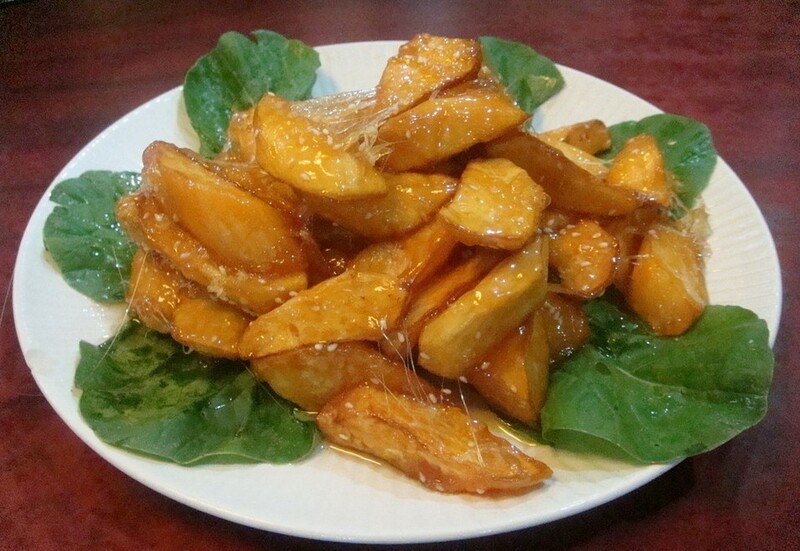 Cameralized Sweet Potatoes is a sweet dish that may look simple but requires a lot of skill. In order to create the sticky caramel effect chefs must control the temperature at the precise temperature, if the sweet potatoes are added to early the caramel consistency is not right, if added too late the caramel is over cooked and has a bitter taste. The sweet potatoes are delicious served as a main dish or a dessert. Dumplings are eaten throughout China and are not only restricted to Dongbei, however the northern dumplings are known for their authentic taste. There are a wide range of fillings to choose from such as pork and chive, mutton, pak choi and pork, vegetarian fillings and the options are endless. 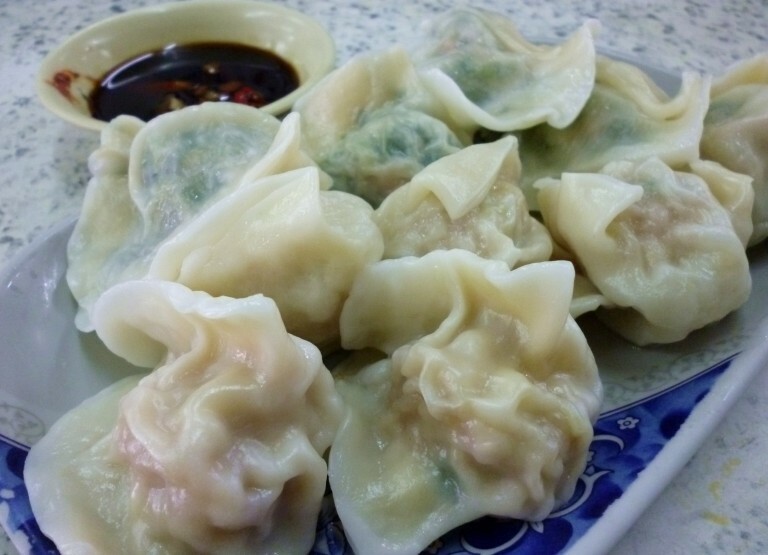 Whether steamed or cooked in a soup the dumplings are delicious.